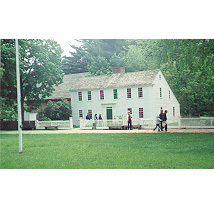 A photo essay of Old Sturbridge Village is more appropriate than trying to paint a word picture. 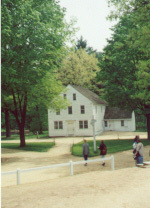 Old Sturbridge Village, one of the best c1830 village recreations in North America, is located in south central Massachusetts. 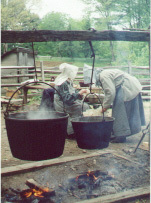 Through daily general admissions, adult craft workshops, Elderhostel, special event weekends and other informative programs, Old Sturbridge Village brings the early nineteenth century alive for thousands of people each year. There are over forty restored buildings located on more than two hundred acres of picturesque countryside. 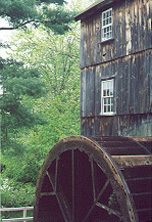 The village provides total immersion in life 160+ years ago through knowledgeable interpretive staff and sensitive recreation of times long ago.